Art Quilt. 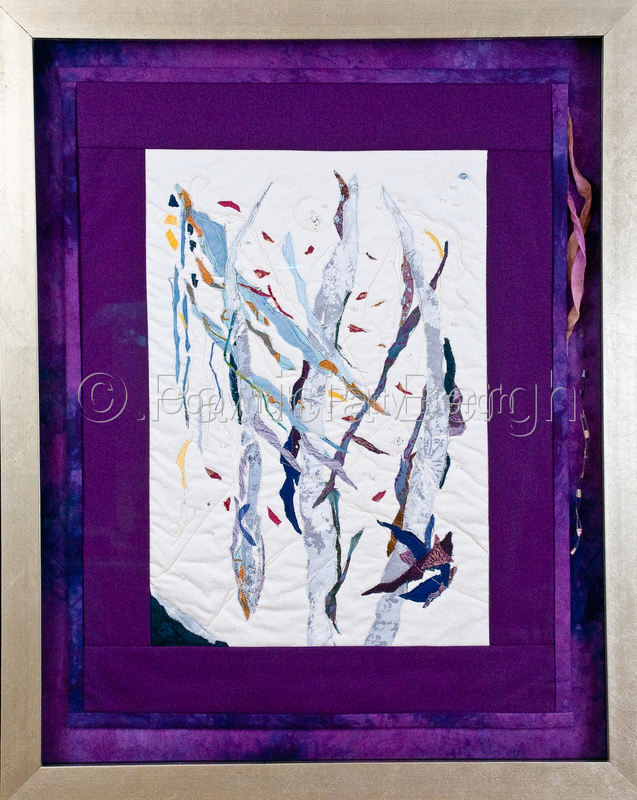 Hand and machine quilting; cotton fiber; raw edge applique; beading and fiber embellishment; painting and foil. Framed under museum glass; dimensions include frame.